With six miles of scenic Puget Sound shoreline and outstanding views of the Olympic mountains, it can be easy to forget that Burien borders Seattle's main airfields (SeaTac International Airport and Boeing Field) to the East. 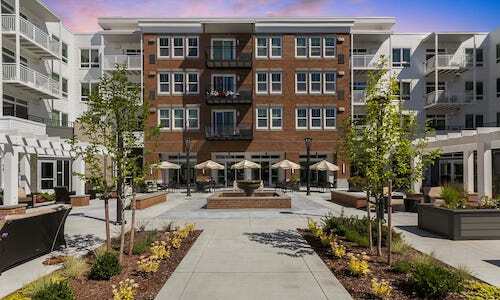 Residents also have access to everything the big city offers with Seattle a mere 10-15 minute drive away. Burien has long been regarded as a creative and pleasant community, with a historic downtown area known as "Olde Burien" drawing pedestrians with its old-fashioned charm, a famous 4th of July parade, and frequent arts festivals. The City of Burien is actively working to create new development (such as the $200 million Town Square project) that preserves its character. Recently completed, Burien's $200 million “town square” is a mixed-use, Built-Green certified project on ten acres in the heart of downtown. The development features a mix of civic and private uses including a City Hall, County Library and Town Square park. The park offers a performance area with stage, interactive water feature, seating, venue for the weekly farmer’s market, curbless pedestrian-focused streets, lighting, rain gardens, interpretive signage, and both iconic and integrated art. A brand new apartment community in the heart of downtown, the Maverick boasts 228 residential units and 4,000 SF of street-level retail. The building offers a diverse array of amenities for residents, including a movie theater, clubroom, fitness and yoga center, café, library, fire pit, and a bike storage. The Merrill Gardens project consists of 126 senior housing units, 70 parking spaces, a movie theater, library, salon, and wine bar, amongst other amenities. The complex also includes a public plaza with attractive landscaping and a fountain, open to all to enjoy. Together with the Maverick Apartments, the development brought $90 million in private investment to Burien. The Sound Transit 3 expansion will establish Bus Rapid Transit service from the Lynnwood Transit Center to the Burien Transit Center via I-405 and SR 518. The project includes plans for expanded parking and station access improvements. Completion is expected in 2024.